If you're on the fence about whether to plump for Virgin Media's all-singing, all-dancing Full House broadband and television bundle, this latest freebie will probably be enough to sway you. The firm is giving away a 43-inch 4K Toshiba Smart TV worth £329 for free when you sign-up to its Full House bundle before 11.59pm tonight, Wednesday February 6, 2019. And you'll have plenty to watch on that shiny new television when it arrives, as the Virgin Media Full House bundle includes access to more than 240 channels, including Sky Sports HD, and BT Sport in 4K Ultra HD. 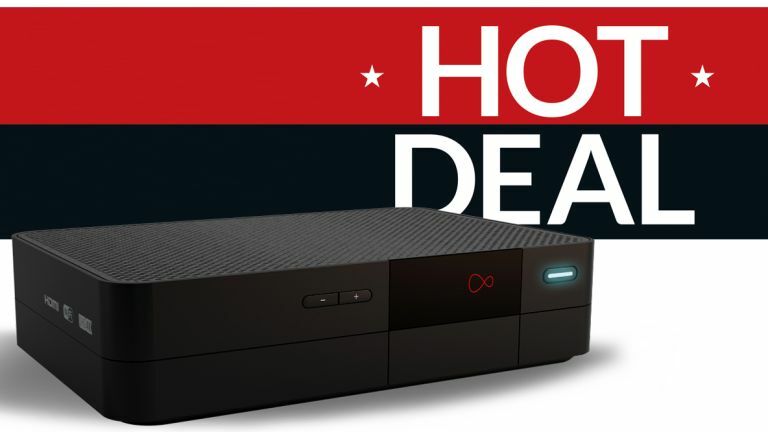 If you fancy taking advantage of the impressive catalogue of on-demand content included with the Virgin TV V6 set-top box – as well as the built-in Netflix, YouTube and BBC iPlayer apps, the VIVID 200 fibre broadband included with this bundle should mean you never wait more than a few brief seconds. Virgin Media touts average download speeds of a staggering 213Mbps and unlimited usage with the fibre package included in the Full House bundle. There's also inclusive weekend calls to selected numbers, too. Full House costs £77 a month in the current Flash Sale. That's an annual saving of more than £300 compared with the usual £104 a month price tag. Virgin Media has unleashed a stellar entertainment deal that combines its lightning-fast fibre broadband with its Sky Q rivalling TV V6 box and channel selection. This bumper package offers pretty much everything you could want to keep the whole family entertained, and also includes a free Toshiba Smart TV. To be eligible for the free 43-inch Smart TV, you'll need to sign-up for a full year and not cancel or downgrade to a bundle lower than Full House Sports prior to installation or before the end of your 14-day Customer Satisfaction Guarantee period. If you live in an area without Virgin Media fibre, why not check the other options available in the comparison chart below?